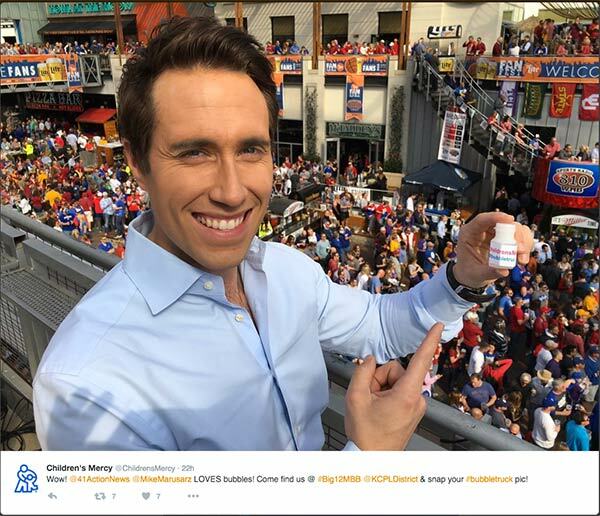 Children’s Mercy Hospital is a regional hospital based in Kansas City, MO that's just for kids. 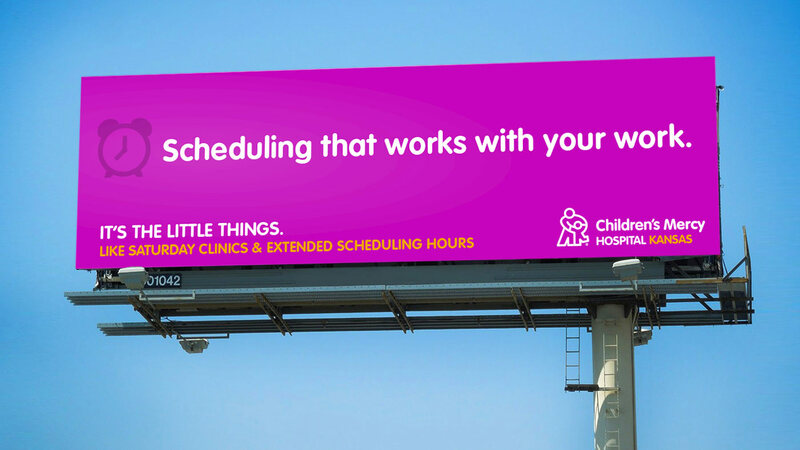 We were asked to create a campaign specifically for their Kansas hospital that included all creative, strategy, media planning and media buying. 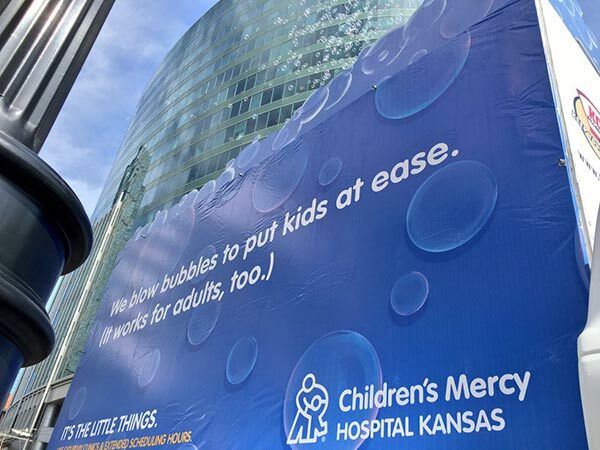 The campaign had 2 objectives: Remind people in Johnson County that there is a world-class children’s hospital in their backyard and highlight some new convenience points. As we dug into our own research, one thing became very clear—patients and their families loved Children’s Mercy Kansas because of all the things they do differently than other hospitals. It was these seemingly small differences that made the hospital so special. So we focused on all of the “little things” that make it different. 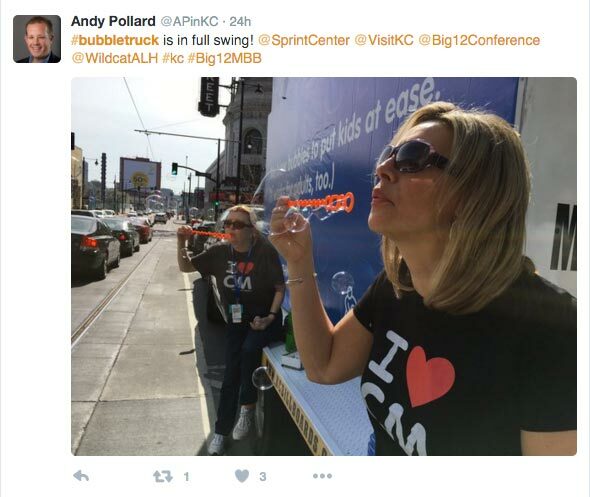 Things like blowing bubbles to distract kids, smaller equipment designed for children, therapy dogs and even wearing brightly colored scrubs. 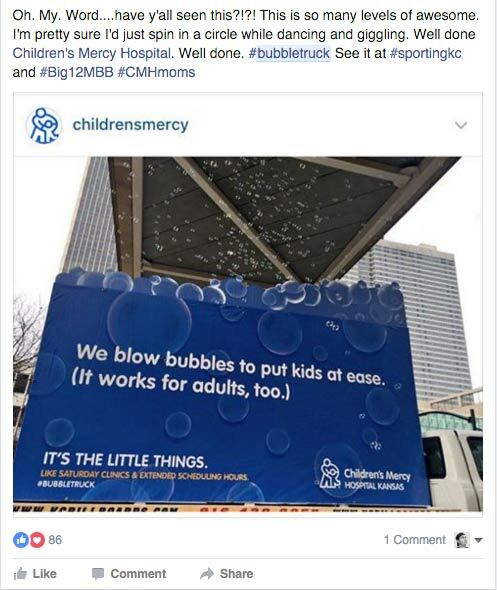 "The first thing you do when advertising for a kids' hospital is make a truck that blows bubbles. 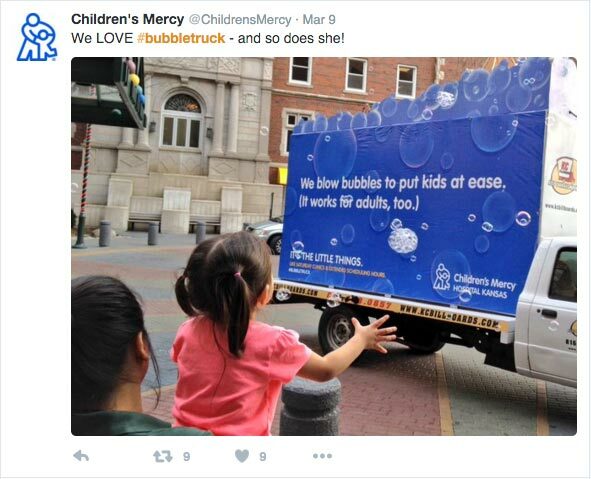 We'll call it a 'bubble truck.'" * Except one guy that got angry when a bubble landed on his car. He promptly wiped off with a chamoise from his glove box. 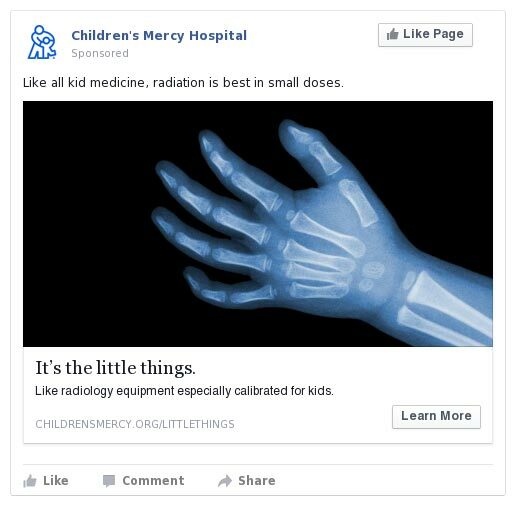 We created radio spots focusing on the little things Children’s Mercy does to make hospital visits less scary for kids and their families. 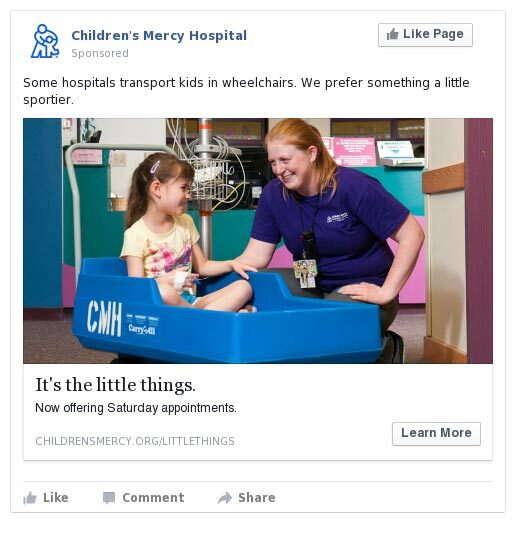 Since our target lived in a specific geographic area around the hospital, geo-targeted digital and social components played a big part in the campaign. One of the “little things” we focused on was actually a pretty big thing—the CMH therapy dog program. We created a video by following one of the dogs, Hope, from room to room as she cheered up sick kids and their families. The video was successfully shared through Facebook, proving that kids and dogs win the internet every time. 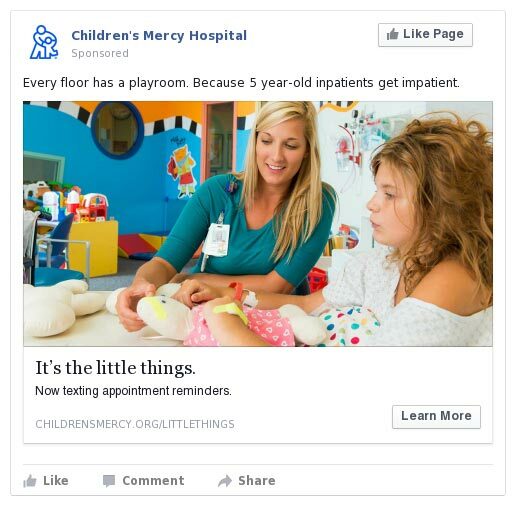 We leveraged Facebook's targeting to serve promoted posts about other "Little Things" Children's Mercy has that can't be offered at other big, scary "normal" hospitals. We also created an extensive desktop and mobile banner campaign. No one clicks on banners, right? Wrong. 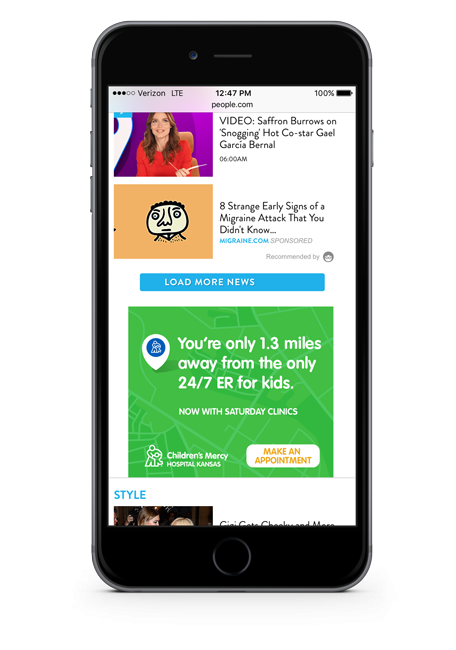 For our mobile campaign, we sent geo-targeted messages to moms in the surrounding hospital area. 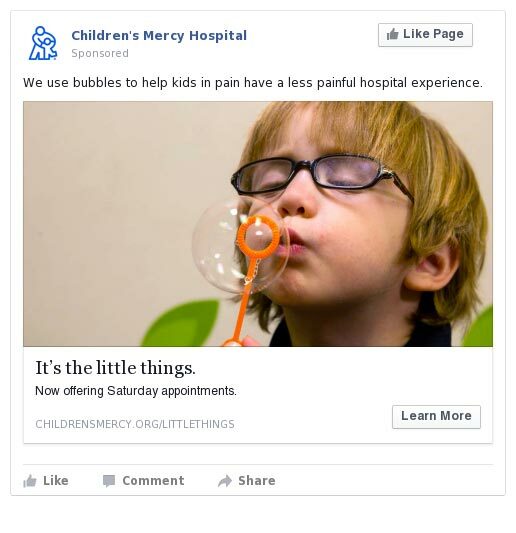 We went even further and served ads while they were in relevant places, like shopping with their children, sitting in line at school to pick up their kids or in the waiting room of other health care providers. Each banner included info on a new service offered by the hospital as well as their exact distance from CMH Kansas. To make sure we got our message in front of every last person in Kansas City, we also ran a “little things” outdoor board along I-35—one of the busiest highways in town. In 2016, Children’s Mercy earned the naming rights to Sporting KC’s stadium. To help kick off the partnership, we created a “little things” video to run in stadium and on TV. With the help of Chance Myers, we made a spot showing that bubbles are a universal distraction tool—even for pro athletes.